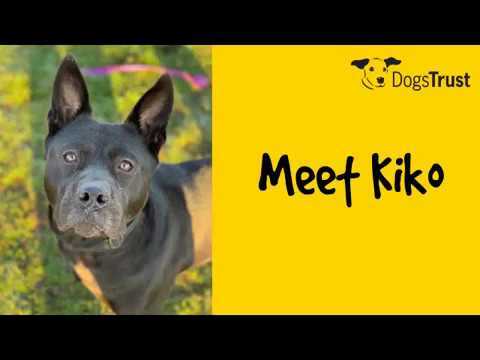 Beautiful Kiko is a loyal companion looking for a home to call her own. She enjoys getting out and about and walks beautifully on the lead. Kiko is fully housetrained and cannot wait to find a sofa to snooze on. She is a real foodie she adores tasty treats and chews. Kiko must have a secure private garden in her new home to stretch her legs in. Four-year-old Kiko would thrive in a quiet location where she can enjoy some home comforts. Her owners will need to visit her multiple times at the centre to get to know her before she will be ready to go home. Kiko is worried by new people so her new home will need to be quiet with a maximum of two people and minimal visitors. Kiko will need to be the only pet in the home and live in adult only environment with no visiting children. Her new family will need to be around all the time at first and build up her alone time slowly. Thank you for your interest in Kiko, who is based at Basildon. Please note this is not a reservation on this dog. To start the rehoming process you will need to go to a rehoming centre for a quick chat. Please find information below about what to expect during the rehoming process. We hope to see you soon.